A provision in the Agriculture and Nutrition Act of 2018 (Farm Bill), which passed in the U.S. House of Representatives in June 2018, would provide a definition that clarifies that retail facilities that receive more than half of their income from direct sales to end users or consumers, including farmers and ranchers, are exempt from OSHA’s process safety management of highly hazardous chemicals (PSM) standard (29 CFR 1910.119). 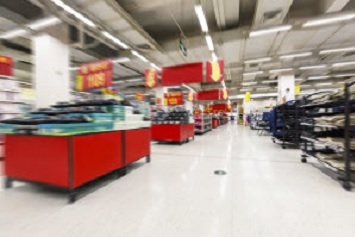 The provision would ensure that OSHA does not revert to an interpretation of retail facilities the Agency included in a 2015 memo that was vacated by the DC Circuit. The Senate version of the Farm Bill, which has also passed, does not include the House Bill definition of retail facilities. The two chambers have not yet agreed on a single bill to send to the president. Both bodies will soon be in recess, and it will likely not be known whether a final compromise bill includes the House definition of retail facilities until after the November elections. The pre-existing 5-year Farm Bill expired September 30, 2018. OSHA’s PSM Standard requires that employers manage hazards associated with processes using highly hazardous chemicals. The standard establishes a comprehensive management program that integrates technologies, procedures, and management practices. While the PSM standard exempts retail establishments, it does not define what a retail establishment is. The assumption behind the exemption was that hazardous chemicals would be present in these facilities only in small volumes. Eventually, OSHA defined a retail facility as one that derived more than 50 percent of its income from direct sales of highly hazardous chemicals to the end user; this called the 50 percent test. In 2013, an explosion involving stored ammonium nitrate at a West, Texas, fertilizer facility resulted in 15 deaths. Because the facility met the 50 percent test it was not subject to the PSM standard. In 2015, President Obama issued an Executive Order directing federal agencies to take action to prevent the occurrence of incidents at facilities that hold large amounts of hazardous chemicals. In September 2016, the DC Circuit ruled that OSHA’s 2015 memo constituted illegal issuance of a standard because the Agency did not abide by the notice-and-comment procedures of the Administrative Procedures Act. In April 2018, OSHA issued another memo, that, in light of the DC Circuit’s ruling, instructed OSHA regional administrators not to issue citations under the PSM standard for employers in NAICS codes 424510 (Grain and Field Bean Merchant Wholesalers), 424590 (Other Farm Product Raw Material Merchant Wholesalers); and 424910 (Farm Supplies Merchant Wholesalers). The House Farm Bill is at https://agriculture.house.gov/uploadedfiles/agriculture_and_nutrition_act_of_2018.pdf.